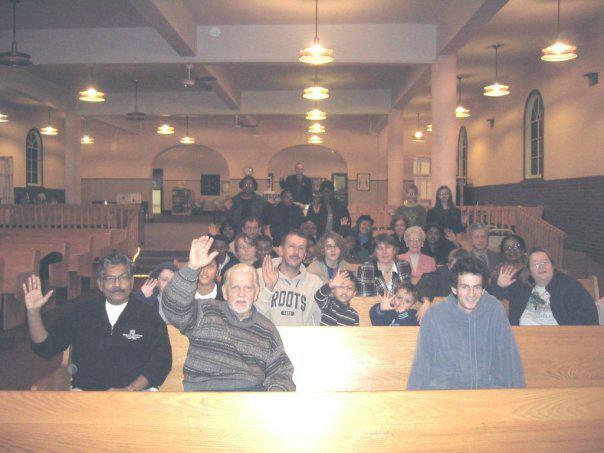 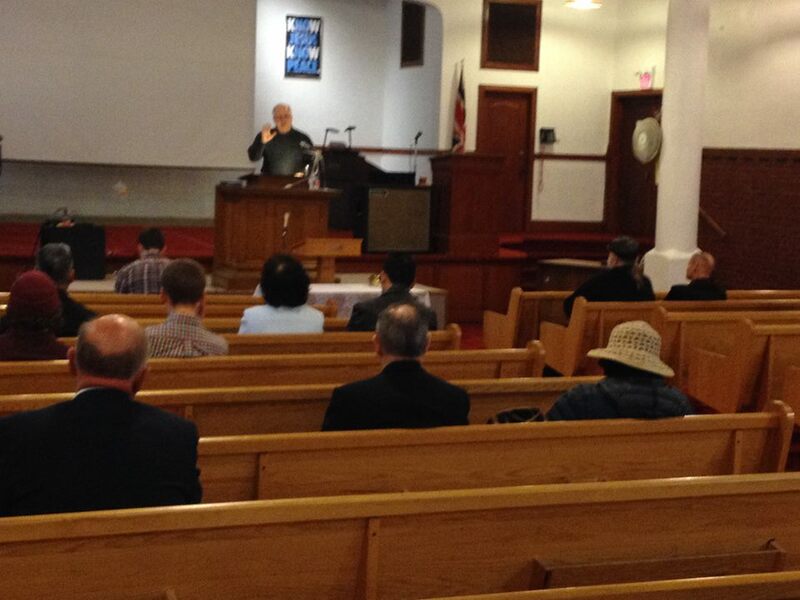 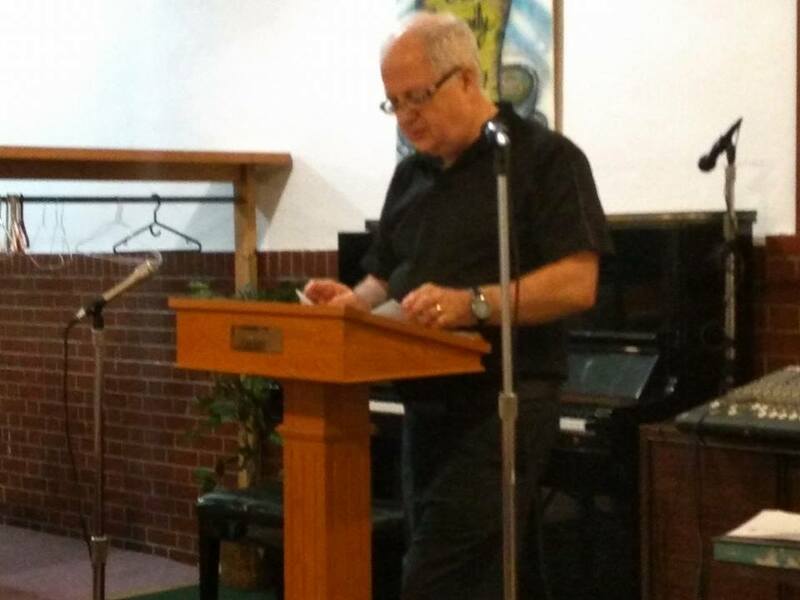 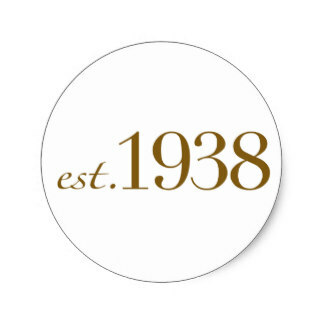 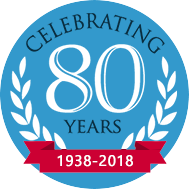 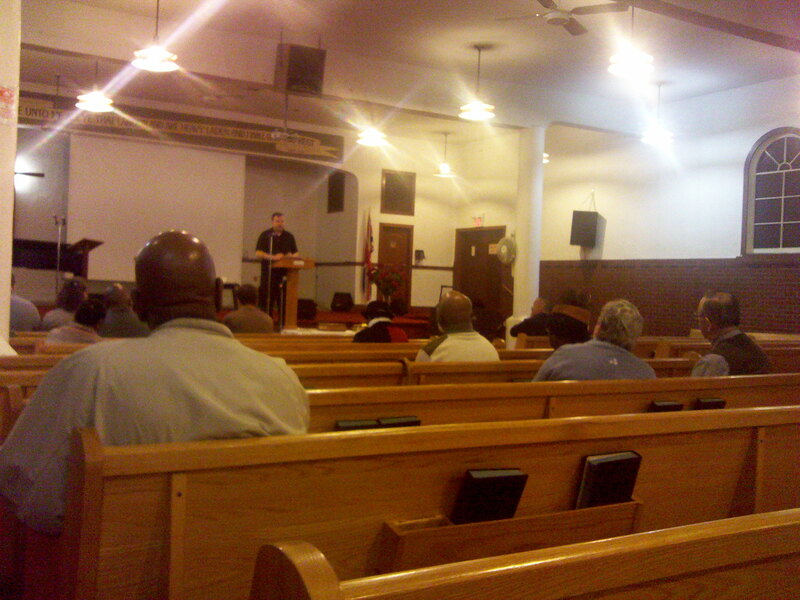 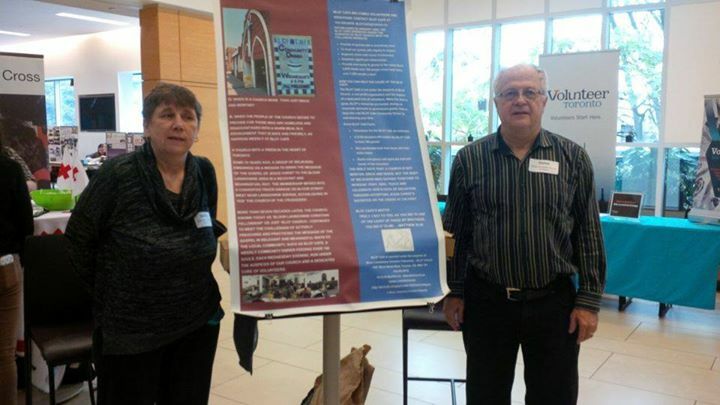 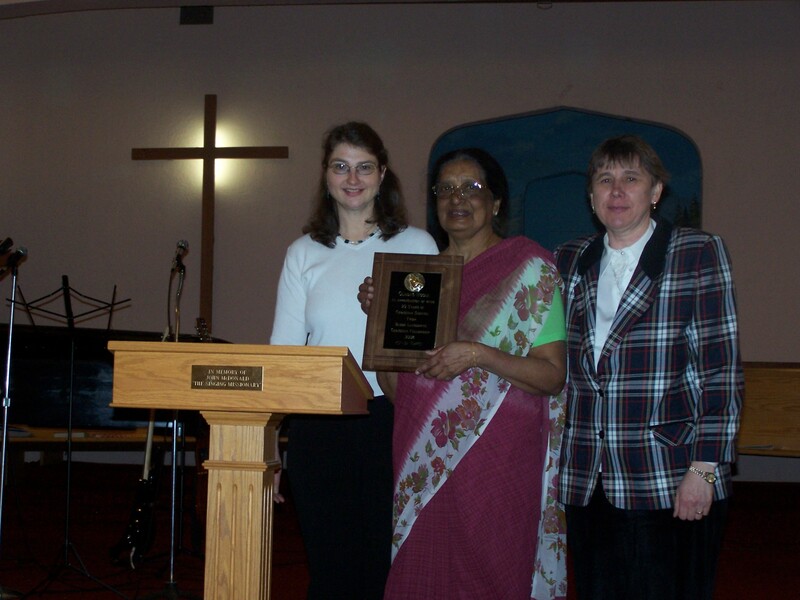 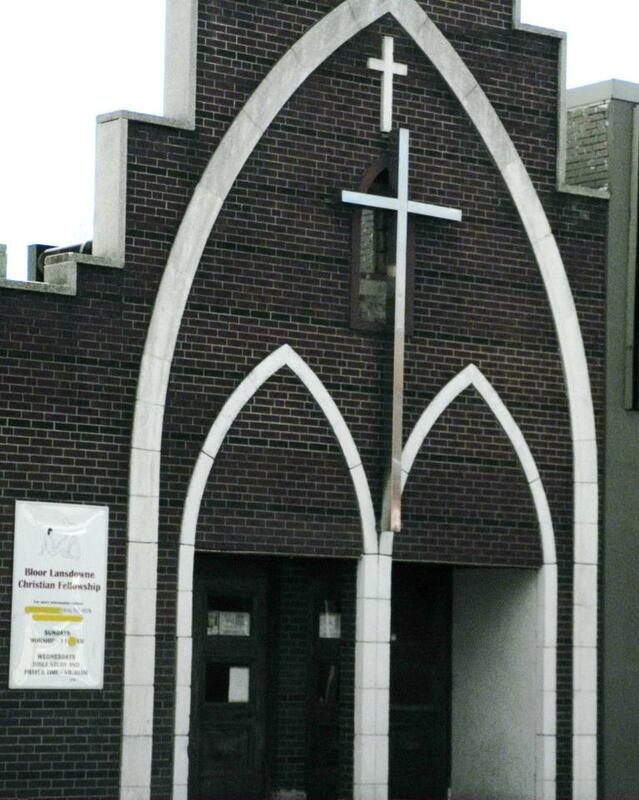 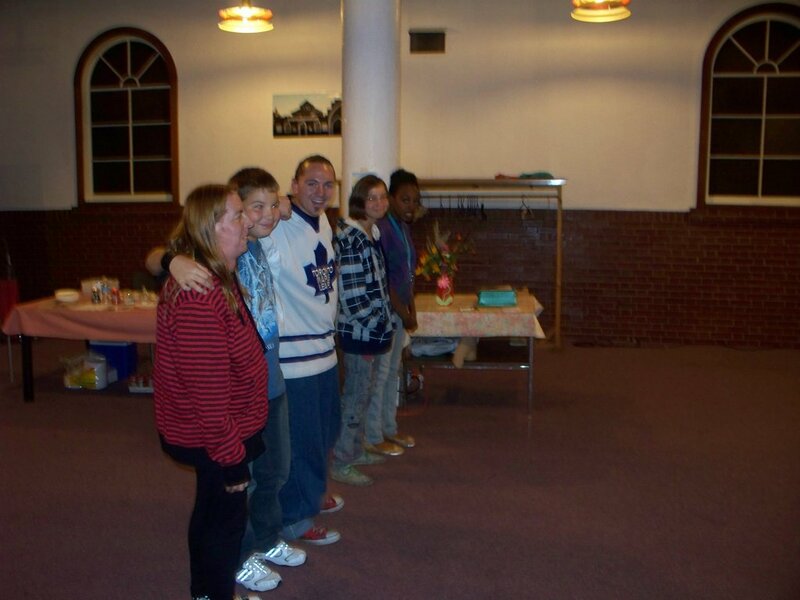 Sharing the gospel of Jesus Christ in the heart of Toronto for over 80 years. 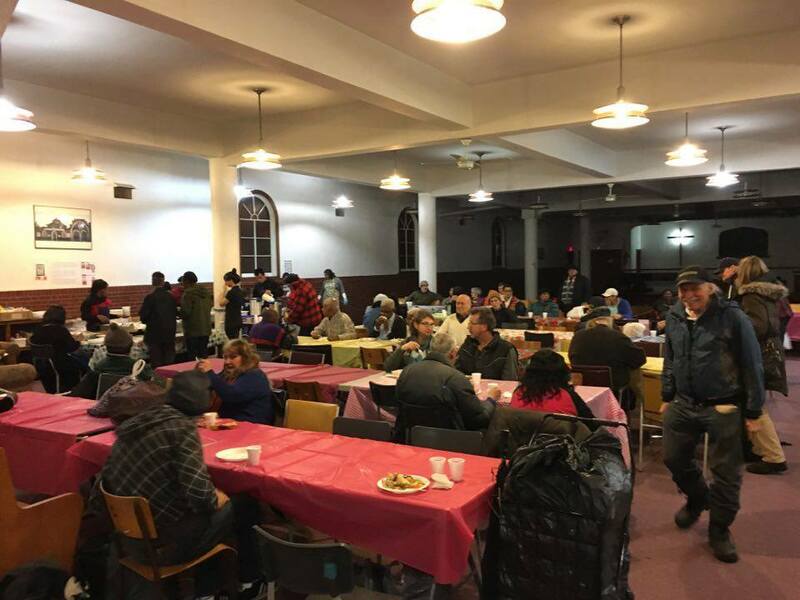 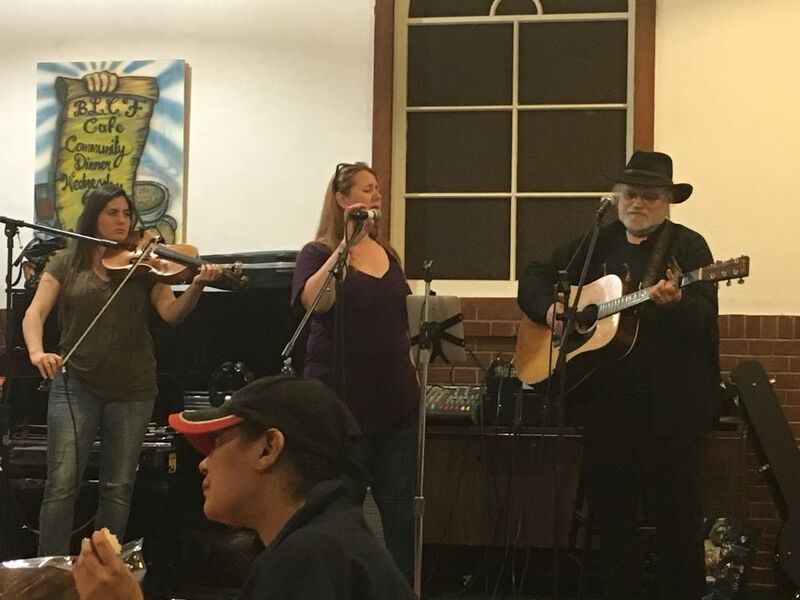 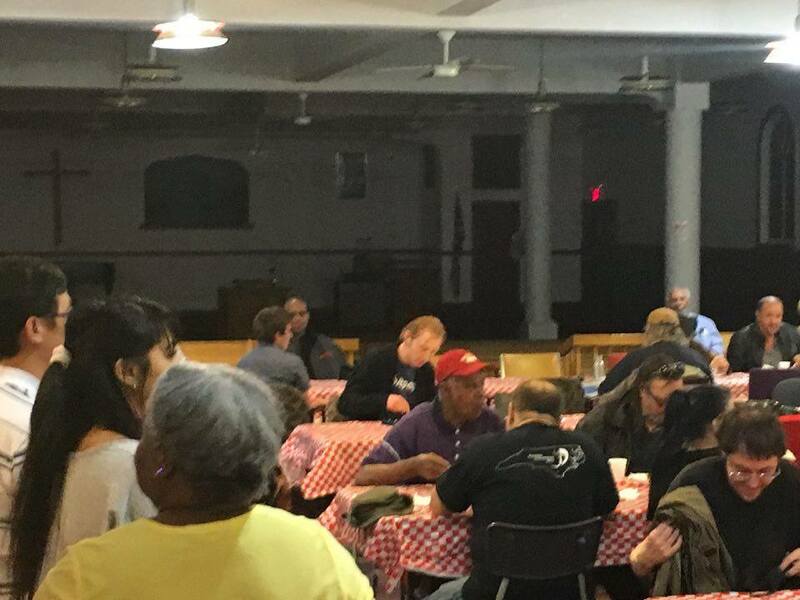 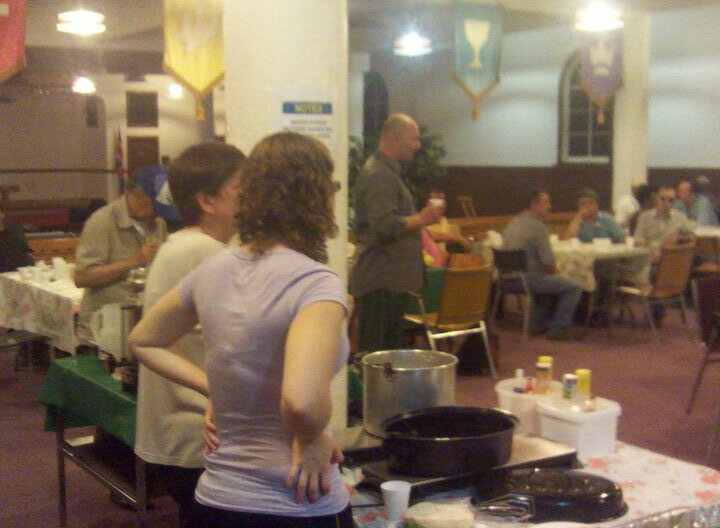 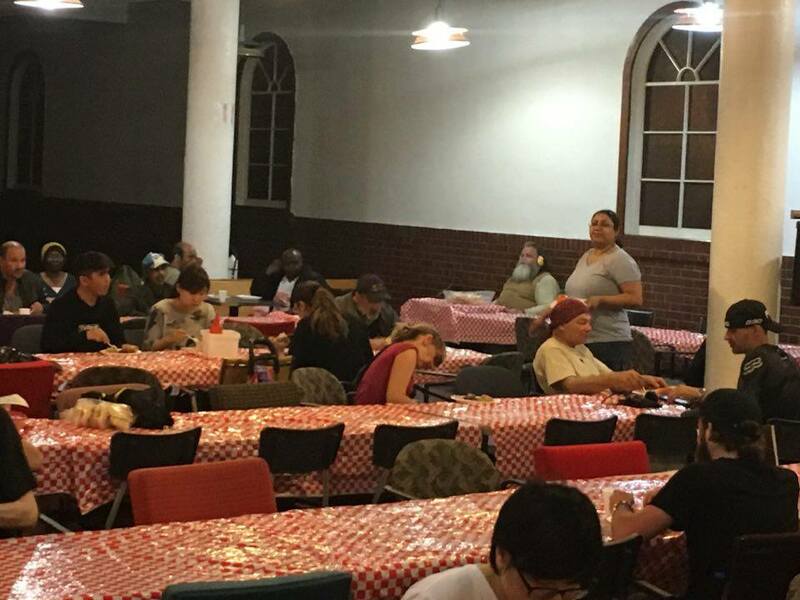 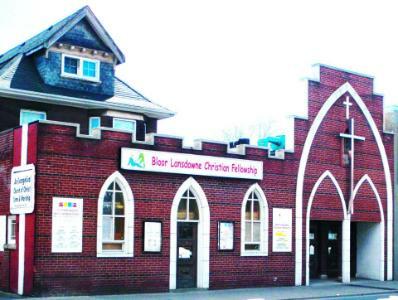 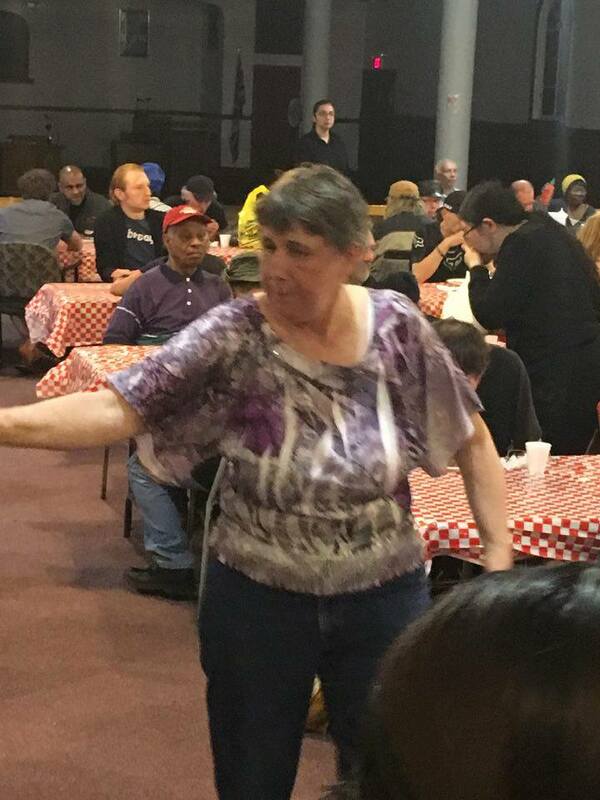 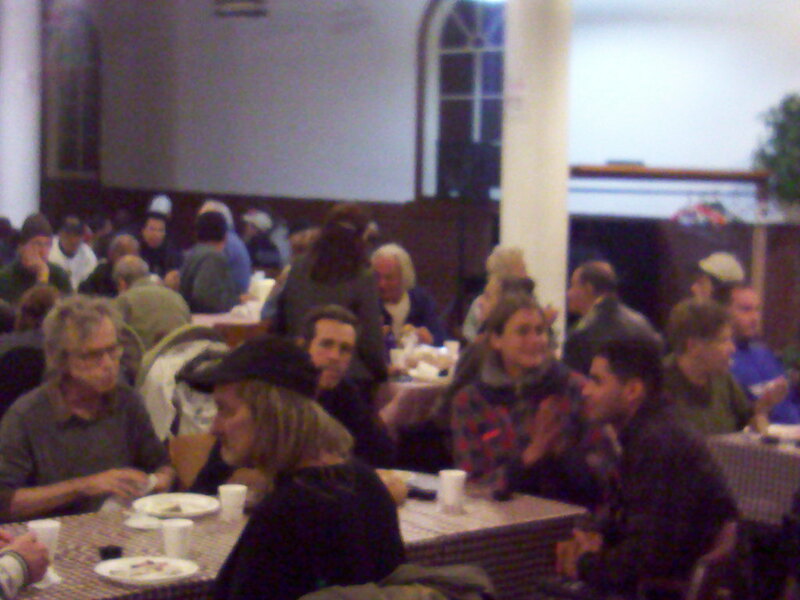 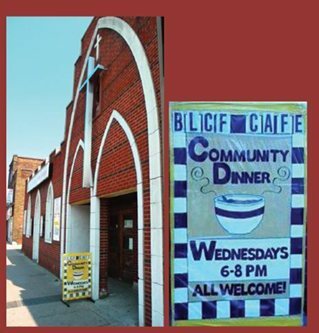 A: WHEN THE PEOPLE OF THE CHURCH DECIDE TO PROVIDE FOR THOSE WHO ARE HOMELESS AND DISADVANTAGED WITH A WARM MEAL IN A ENVIRONMENT THAT IS SAFE AND FRIENDLY, AS HAPPENS WEEKLY AT BLCF CAFÉ. 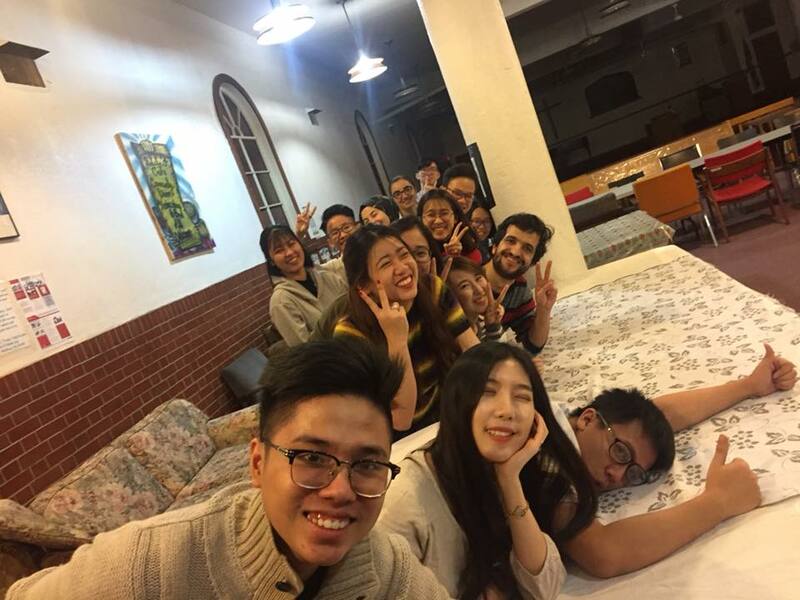 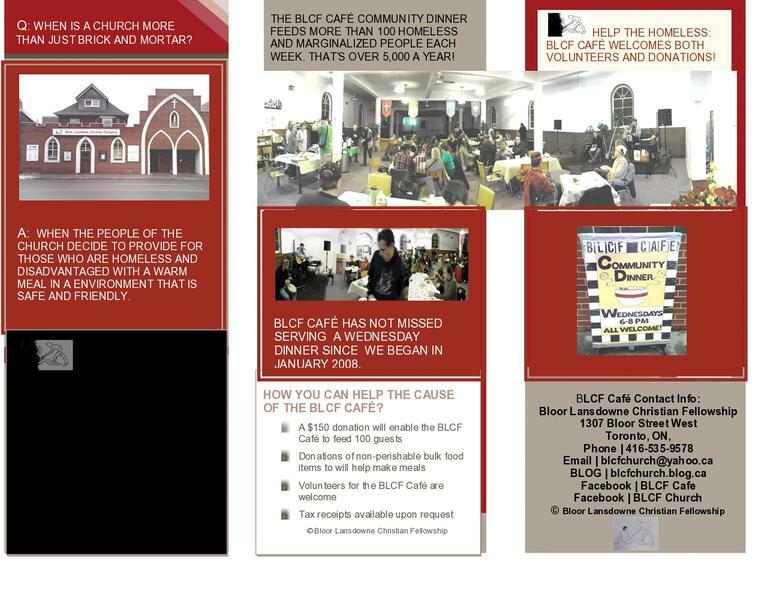 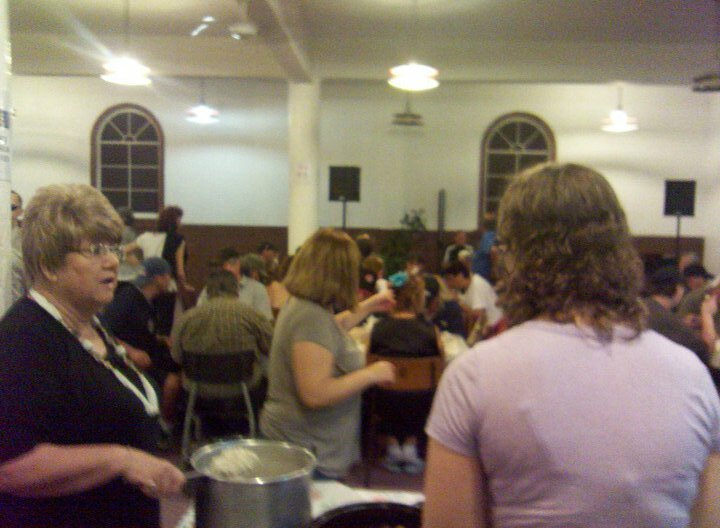 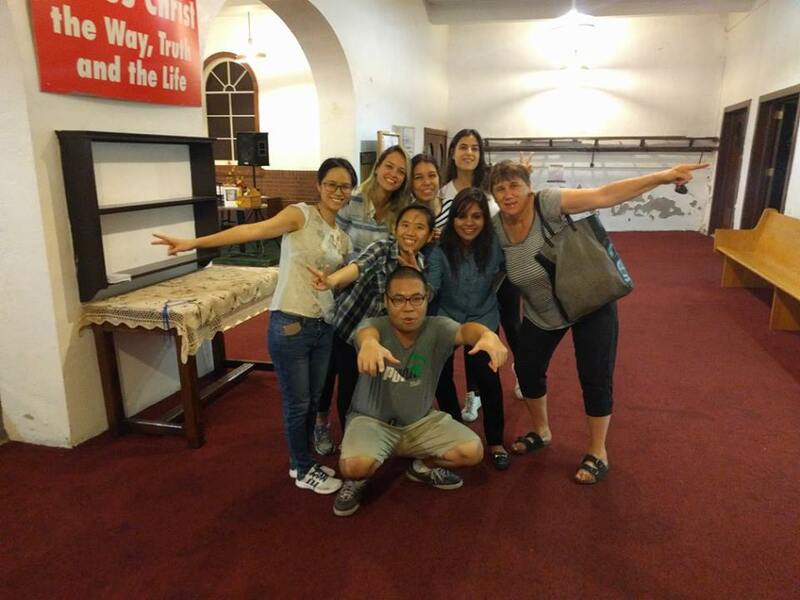 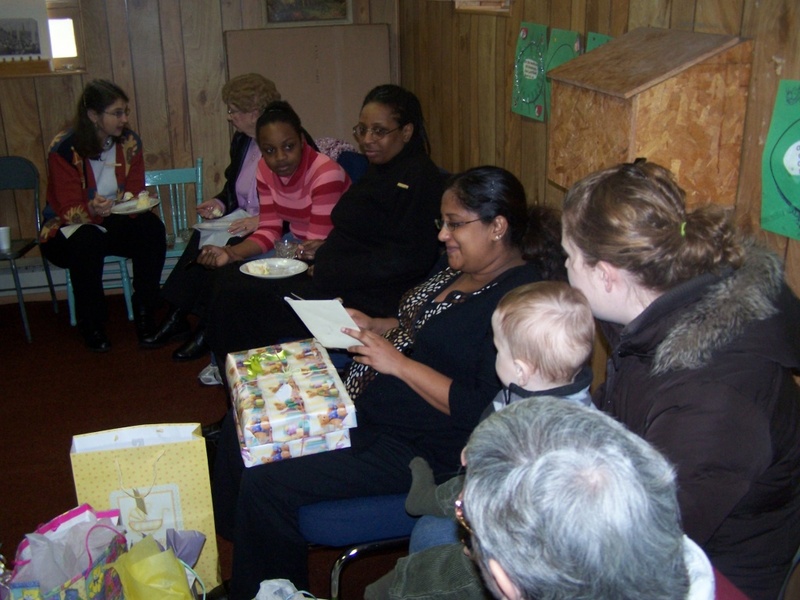 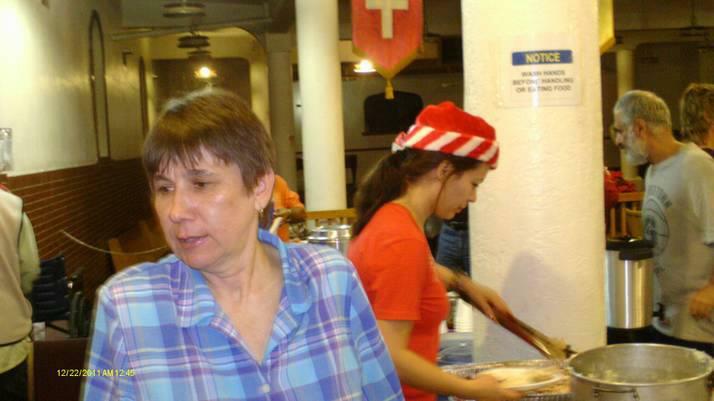 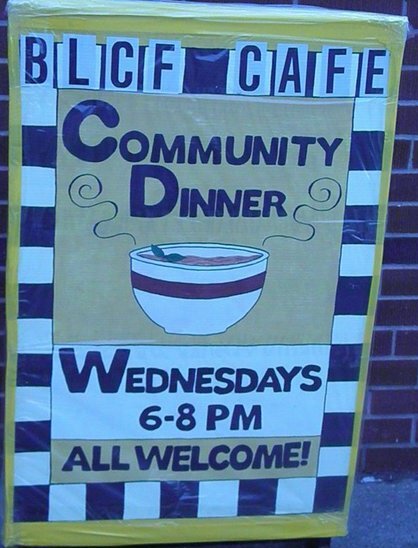 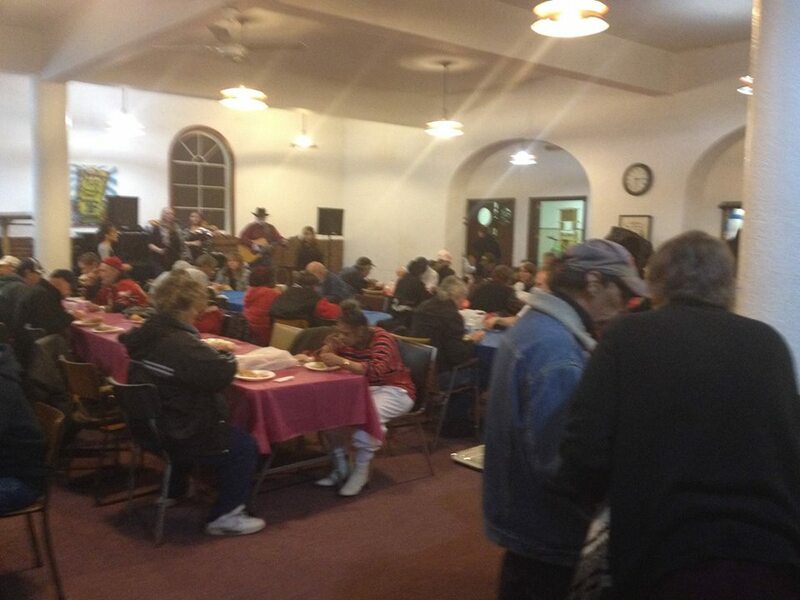 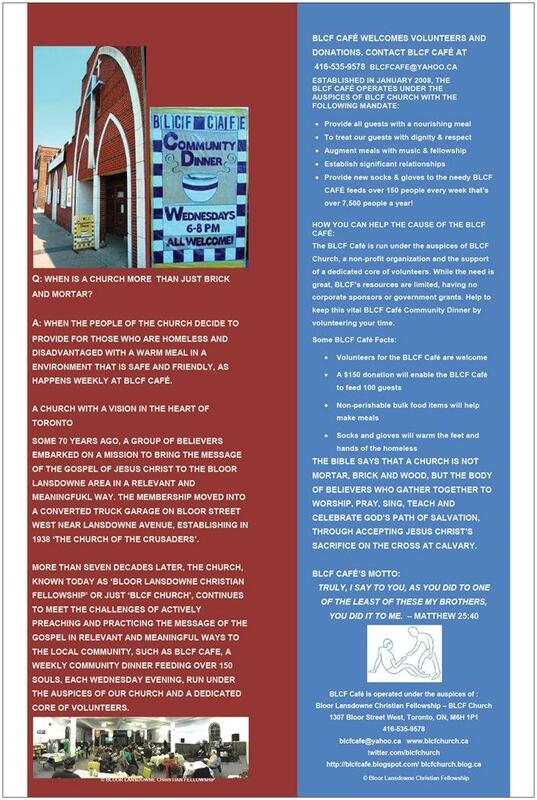 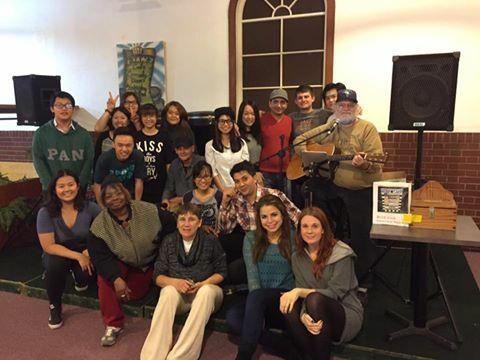 BLCF CAFÉ feeds about 150 homeless and marginalized people every week that’s over 7,500 people a year! 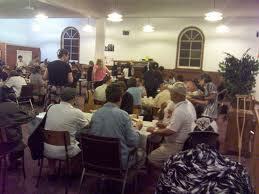 neither supervise nor fill out forms or letters for volunteers required by the courts or social services. 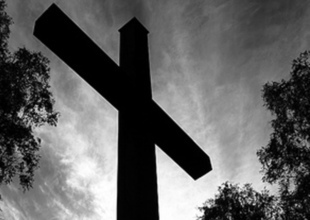 The Bible says that a church is not mortar, brick and wood, but the body of believers who gather together to worship, pray, sing, teach and celebrate God’s path of salvation, through accepting Jesus Christ’s sacrifice on the cross at Calvary. 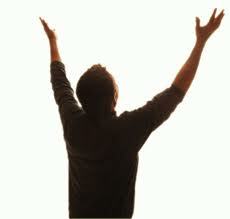 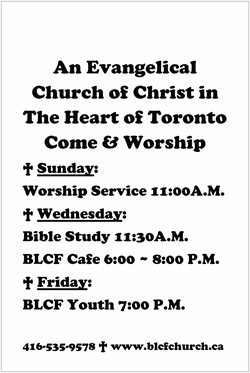 Whether you're new to the neighborhood, new to worship, or looking for a new home church, we welcome you with open arms! 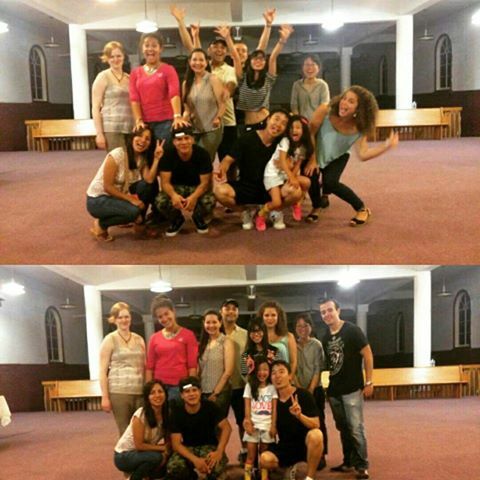 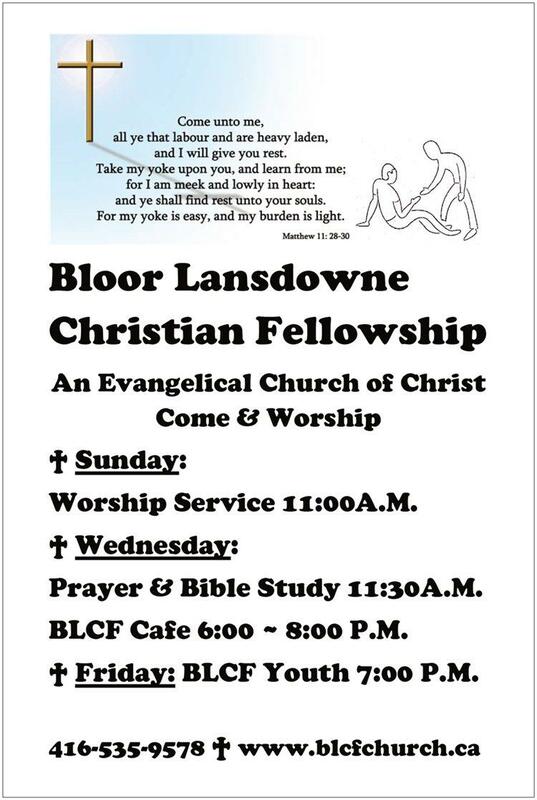 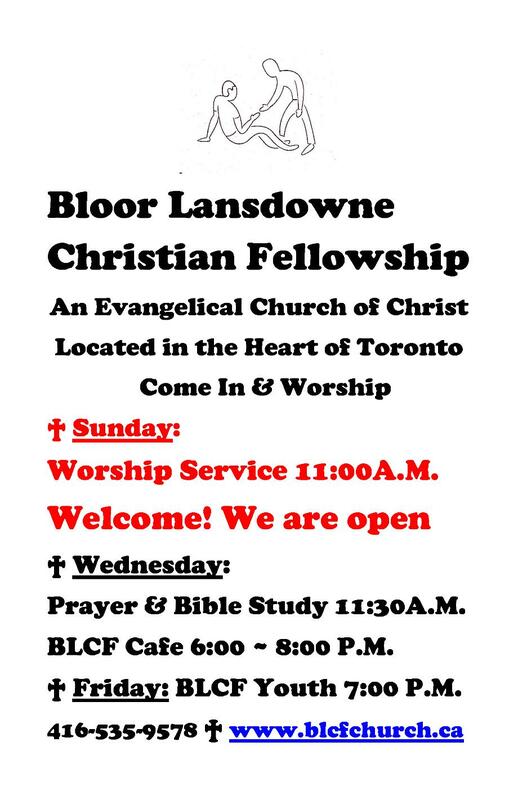 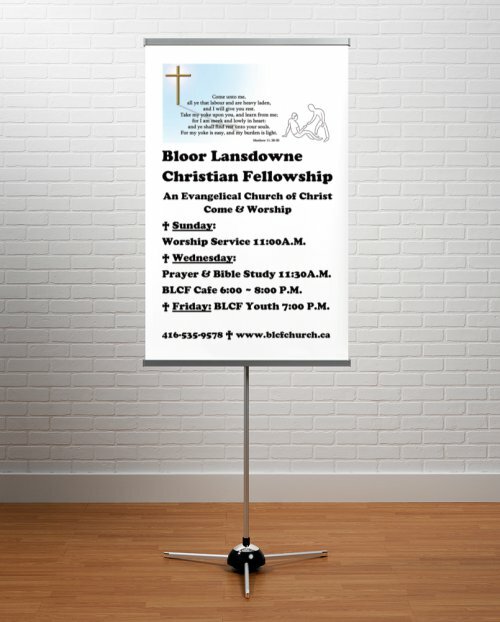 Contact us: 416-535-9578 or blcfchurch@yahoo.ca. 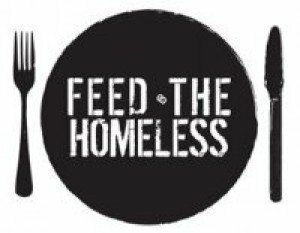 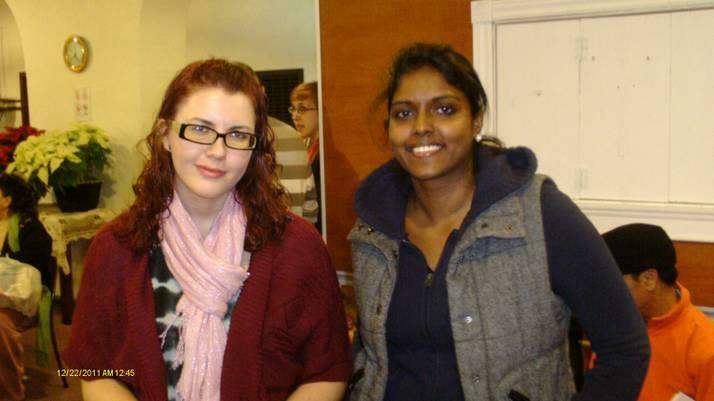 If you would like to help our cause, either as an individual or with a group, just drop us a line or give us a call. 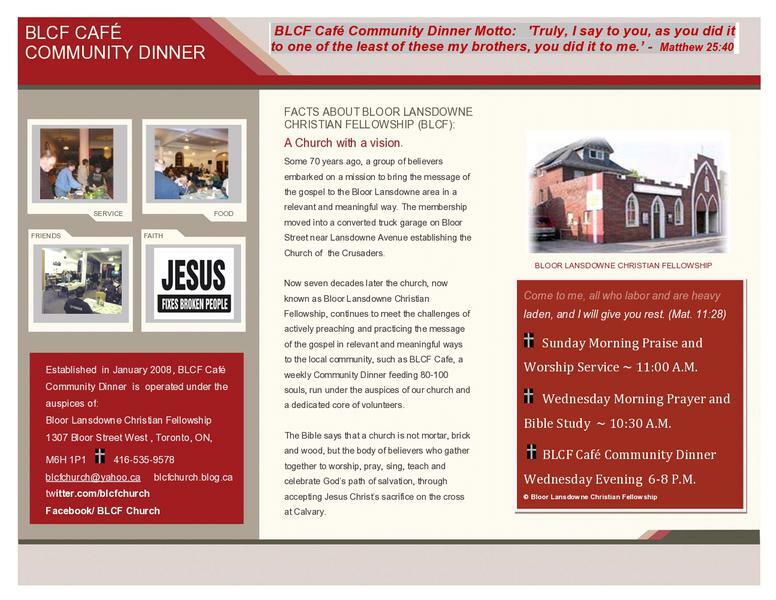 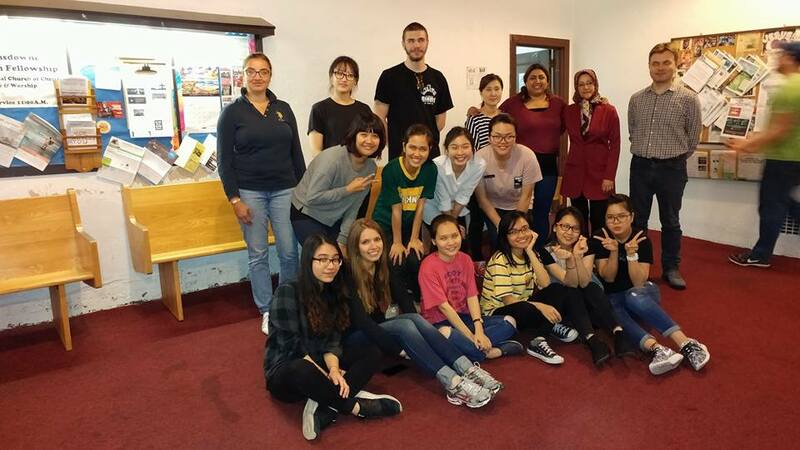 Contact Sophie via email blcfcafe@yahoo.ca or call at 416-535-9578. 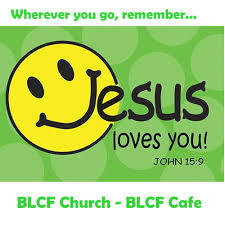 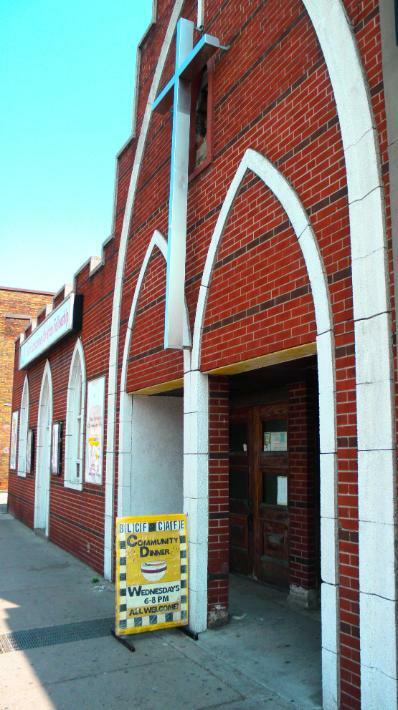 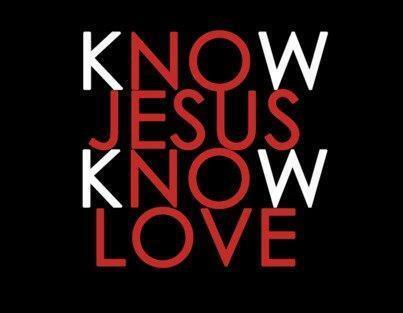 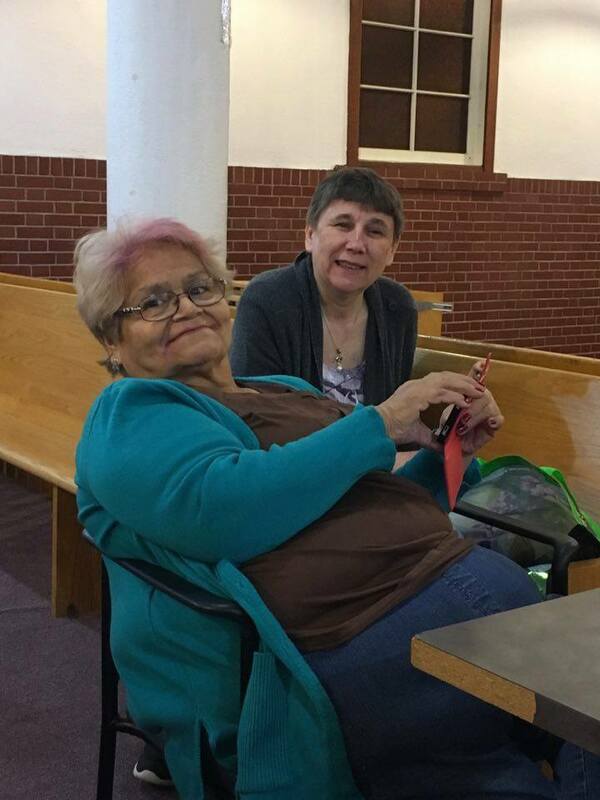 Sunday Worship and Praise 11:00 A.M.
Wednesday Morning Prayer and Bible Study 11:30 A.M.
Wednesday Evening BLCF Cafe Community Dinner 6:00 ~ 8:00 P.M.
Friday Night Outreach Activities 7:00 P.M.